So sorry, this contest ended on November 22, 2017. 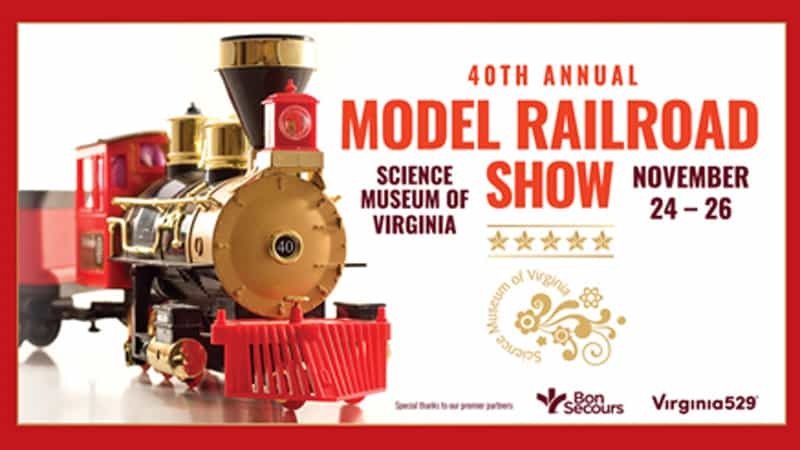 Enjoy a day full of question-your-world fun with a 4-pack of tickets to the Science Museum of Virginia to check out its three floors of interactive exhibits, take in a giant-screen movie in the Dome theater and see the 40th Annual Model Railroad show, November 24-26. A total prize package worth $74!